The multifaceted hospitality industry is one of the largest industries in the world and is the single largest employer, supporting 1 in every 11 jobs worldwide, according to the World Travel & Tourism Council. Hospitality encompasses lodging, spa, food and beverage, travel, events, and more. Wherever your passion lies, there are some keys that will help open the door into the industry, including education, experience, and solid leadership skills. There are two sides to the hospitality industry: the operational side, which includes front-line jobs, and the corporate side where you’ll find positions in finance, human resources, information technology, sales, and marketing. There are tremendous opportunities on both sides so think about where your niche might be. Are you a people person? Do you prefer a 9 to 5 office job or working nights and weekends? First things first. Before you break into the industry, think about what you want to do. Visualize where you see yourself five years down the road, and develop a game plan to get there. What job do you hope to have? What type of certification or degree does that job require? What training or internships are available to you? Once you have a game plan, the next step is putting your plan into action. Pay your dues. While it may not be a job requirement, gaining front-line experience in the industry is extremely valuable. Whether it’s working in food and beverage service or at the front desk of a hotel, entry-level positions help to build character. This experience also allows you to see the inner workings of a particular field and will likely help you to become a better manager one day. Whether you are applying for an internship or your first job out of college, remember to sell yourself. Share your passion for the industry. Be informed. Keep up on the latest industry news and trends by reading hospitality blogs and journals. Know what sets you apart from the other candidates, and highlight the strengths and skills that you bring to the table. Build relationships along the way. Starting now! The more connections you have, the better. That job at the front desk may lead to an internship in a hotel’s corporate office. That internship may lead to a full-time position after graduation. Set yourself up for success. Education and experience go hand-in-hand when it comes to landing a job in the hospitality industry. 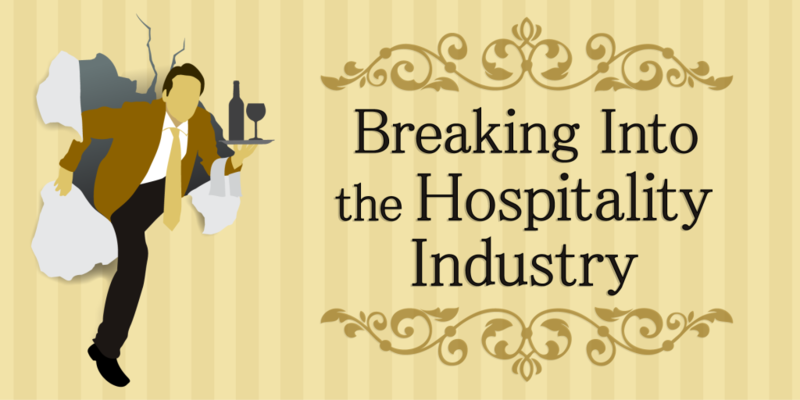 It’s never too early to start setting the groundwork for your future in hospitality. Many high schools offer programs and curriculum to help prepare students for future careers in the hospitality industry. ProStart is a nationwide, two-year high school program from the National Restaurant Association Educational Foundation (NRAEF) that unites the classroom and industry to develop the best and brightest talent into tomorrow’s restaurant and foodservice leaders. ProStart reaches more than 95,000 students in 1,900 high schools across 48 states, Guam, and U.S. military bases. Students who receive the ProStart National Certificate of Achievement are eligible for NRAEF scholarship opportunities and course credits at more than 75 of the country’s leading hospitality and culinary arts colleges and universities. The American Hotel & Lodging Educational Institute (AHLEI) has developed a hospitality program to introduce high school students to the opportunities available in the hospitality and tourism industry. The Hospitality and Tourism Management Program (HTMP) focuses on educating students on the career pathways and skills needed to build a long-term career in the industry. The Skills, Tasks, and Results Training (START) program is a one-year or 180 classroom hour curriculum that gives students the real-world knowledge and skills needed for a long-term career in the lodging industry. Perfect as the introductory class for hotel operations, more than 400 high schools and community colleges select START as the beginning course to transition to higher-level hospitality coursework. 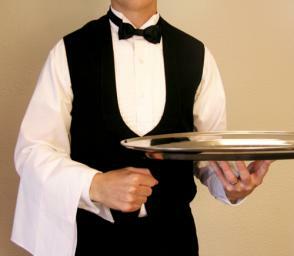 Many colleges offer summer programs to high school students (typically rising juniors and seniors) interested in a career in hospitality. This is not an all-inclusive list. Check out colleges near you that may offer similar programs. This first-class introduction to hospitality management is taught at the University of New Hampshire’s world-renowned Department of Hospitality Management, currently one of oldest programs in the country. Drexel University offers a one-week, non-residential program to expose talented and motivated high school students to a range of career possibilities in the fields of culinary arts, culinary science, hospitality management, and sport management. One-week, non-residential camp program aimed at educating aspiring teens on future careers in hospitality and tourism. These camps offer a glimpse into a future career in culinary arts, hospitality management, or business. Designed for high school students between the ages of 13-18, these one, two, or three-week camps are hands-on and taught by qualified Kendall instructors. Three-day experiential camps for high-school students interested in hotels, restaurants, catering, clubs, casinos, and related fields. If you want a career in the hospitality industry, choose a school with a great program that fits your needs. Whether pursuing an undergraduate or graduate degree in the field of hospitality, be sure to check out scholarships that may be available to help finance your education. In addition to those listed below, you may qualify for University-based or other hospitality scholarships not mentioned here. The AHLEF should be the first scholarship stop for any student considering a hospitality management degree. The more than 60-year-old foundation is dedicated to funding research and academic study within the industry, and they currently provide 10 different scholarships for future hospitality leaders. The NRAEF offers a variety of merit-based scholarships to students who want an education and a career in the foodservice industry, starting at $2,500 per award. In 2014, the NRAEF awarded over $1 million in scholarships. Take a look at the variety of scholarships available and the diverse range of career paths you can take in the restaurant industry. Tourism Cares, the nonprofit foundation that supports the National Tour Association, American Society of Travel Agents, and International Air Transport Association, also awards both academic and professional development scholarships, and their more than 50 awards, ranging from $1,000 to $4,000, serve high school seniors, undergraduates, and graduate students in virtually every area of hospitality and travel studies. The IFA Educational Foundation and Choice Hotels International have partnered to sponsor the Minorities in Hospitality Scholars Program. The purpose of the scholars program is to recognize and support minority students who are enrolled in the Hospitality course of studies complete their academic programs by providing scholarship assistance. The Society for Hospitality and Foodservice Management (SHFM) is the pre-eminent national association serving the needs and interests of executives in the corporate foodservice and workplace hospitality. The SHFM Foundation will be awarding up to six scholarships in 2015 for $2,500 each to deserving students who are dedicated to a future career in corporate foodservice and workplace hospitality. Each year, WCR awards unique learning opportunities to its members seeking culinary and continuing education opportunities. These opportunities are located all over the world and in all fields of the hospitality industry. These sites are excellent resources for pros and up-an-comers alike. They will keep you posted on the latest news and developments in the hospitality industry along with ideas for helping launch and further your career. Ashley Hunn is a freelance author focusing on resources for college-bound students. 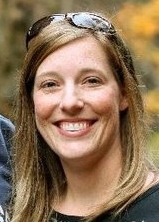 Her professional career includes six years of service in the U.S. Air Force, where assignments included public affairs, media relations, news writing, and leadership and staff coaching and development. She graduated from Boston University.